TURNER MOTORSPORT BMW FINISHES TENTH IN A DRAMATIC ROLEX 24 AT DAYTONA. Amesbury, MA. — January 29th, 2019 — The No. 96 BMW of Turner Motorsport finished tenth in the 57th running of the Rolex 24 at Daytona in what turned out to be one wet and dramatic race around the 3.56-mile 12-turn road course. 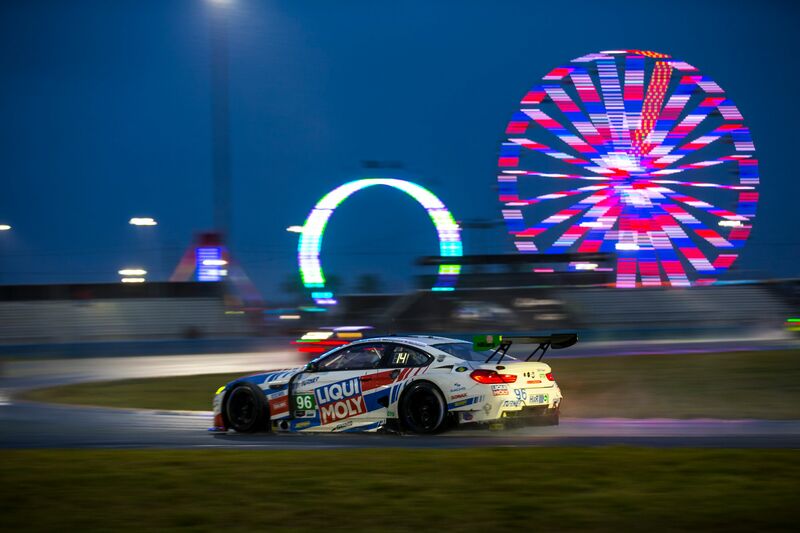 The team entered this race weekend focused on a strong finish in their tenth start in the Rolex 24 with drivers Bill Auberlen, Jens Klingmann, Robby Foley and Dillon Machavern behind the wheel of the red, white and blue BMW. Over the course of the 24 hours, the team completed 24 pit stops traveling a total distance of 1991 miles with 17 full course cautions and two very rare red flags. In those 1991 miles traveled, the BMW M6 only had two issues, one broken rear shock and a broken wheel due to contact from a GTLM car. To complete those 24 pit stops, the team consumed 75 cans of energy drinks, over nine gallons of coffee, ten cases of water as well as other various juices and soda. Five full meals were served on pit lane, as well as numerous cases of snacks and fruit. 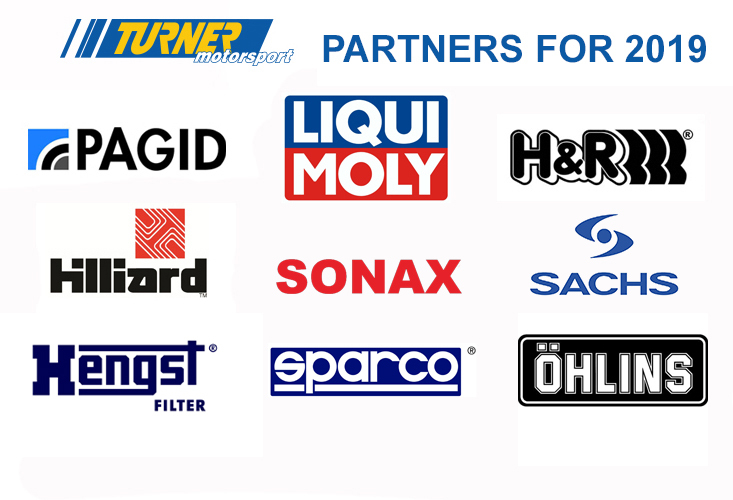 Loyal Turner Motorsport fans also provided 70 tacos, Crispy Creme donuts and Dunkin Donuts iced coffee throughout the night-time hours. “As far as the red flag decision and the going back to green in the wet conditions. We were all at Daytona to race, we all know the risks, yes the conditions were treacherous, but that’s part of the challenge right? Drivers make choices all the time when to push and when to be conservative – why should the conditions matter. Good job IMSA in letting us race in the rain." With over four hours of red flag in the hours leading up to the checkered flag, teams finished close to where they had been running in the early morning hours. Click here for the photo album from the weekend..